The Regatta Ladies Joelle IV Jacket is waterproof, breathable and windproof yet exceptionally lightweight. It can be packed away into its own pocket and worn as a belt for easy storage and transportation. The Joelle IV has taped seams on the inside as well as a mesh lining in the body. The hood can be concealed when not needed and is adjustable so you can alter it to provide the best fit. Isolite fabric is a lightweight waterproof, windproof and breathable fabric from Regatta to help keep you dry and comfortable whatever the weather. 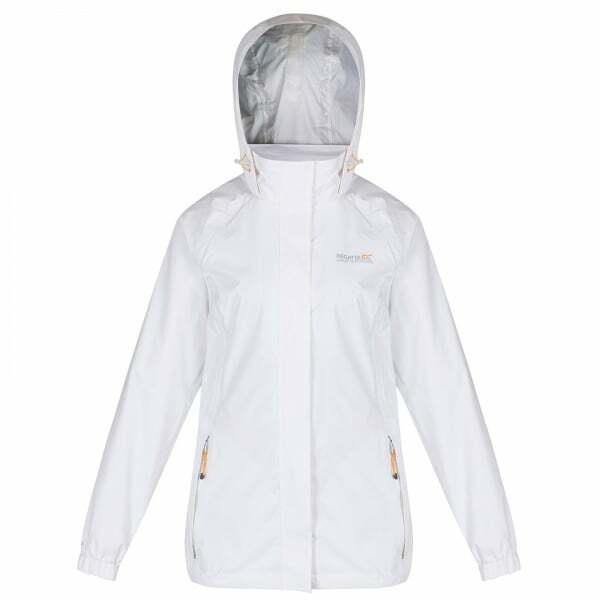 The waterproof nature of the fabric keeps water out while the breathable system allows moisture vapour to escape. All Isolite fabric garments are treated with a durable water repellent finish to help water bead and run off. The fabric is completely windproof which eliminates wind-chill and keeps cold air out.